It’s Seoul vs Busan and the first leg of the 2010 Korean Triple Crown as fourteen of the peninsula’s most talented colts line up for the KRA Cup Mile – “The Korean Guineas” – at Busan Race Park this coming Sunday. Heading the Northern raiders, Money Car has looked untouchable at every distance since an inauspicious debut. 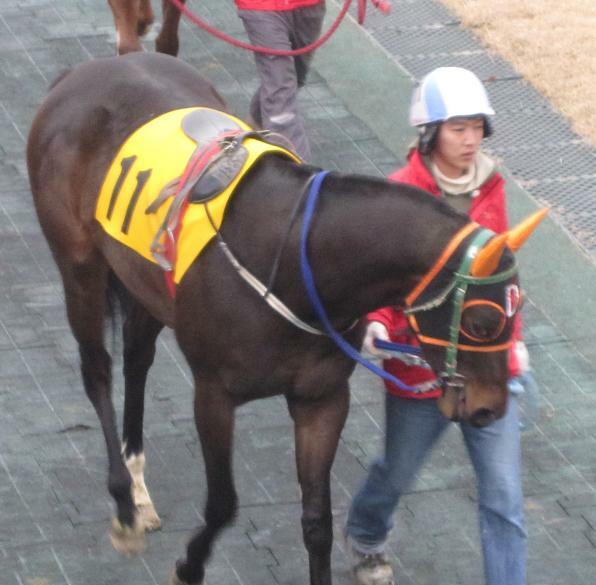 Will he take to Busan’s brutally difficult track? If he does, he’ll be hard to beat. Didn’t impress in good company over a mile last time but knows how to win. Wepner already has a Korean Classic to his name and could get another. Dangdae Bulpae was an impressive winner over a mile last time out. One of two entrants for Australian trainer Peter Wolsley. Mega Tough only broke his maiden last time out – that was at nine furlongs, having been third in his only run over a mile. Has never gone more than six and a half furlongs and is completely unproven in this company. Nevertheless,with two wins and a second from three races, he knows where he is supposed to be at the end of the race. Will he run? All of trainer Kim Young Kwan’s horses have been scratched the past two weeks. If he does run, he’ll have his work cut out to win for the trainer who scooped all three of last year’s Triple Crown races. Second behind Dangdae Bulpae last time out, one of three second places. He’s worth a bet to place again. A smart winner on both his last two outings but like stablemate The Almighty, has done little to suggest he’ll be competing for top honours here. Place at most. Made it up to class 2 racing early and has competed over a mile twice before, fourth being his best finish. The second of Peter Wolsley’s two runners, an overseas trainer and jockey connection would not be welcomed on the backstretch but would be welcomed elsewhere. Plenty of experience including a second place finish over a mile. Was runner-up to Almighty Hit last time out. Never worse than third in eight races and is a winner at class 2 over the distance. Purely on caliber of horses he’s beaten, he’s worth supporting – however, six out of eight times, something has gotton the better of him. A late entry, Triple Sinhwa was a surprise winner at his first attempt at a class 3 race two weeks ago. That was at two furlongs less than he’ll be running on Sunday though. Seoul’s final challenger is the grey Silver Mon. Disappointing in the Herald Business last season but a surprise third place over eight and a half furlongs on his season debut may have persuaded connections to think he is going to excel at the mile. Has been in indifferent form of late and there’s no real reason why that should change on Sunday. An outsider. A new movie with horse-racing as its backdrop is about to go into production. “Grand Prix” will star Kim Tae Hee and Lee Jun Ki with both playing the roles of jockeys. One of Korea’s most popular (for various reasons) actresses, Kim Tae Hee is most famous for leading roles in TV dramas including most recently last year’s “IRIS” and can also be seen in Cyon (LG) mobile phone adverts (see below). Lee is best known for his lead role in the 2005 movie “The King and the Clown”. Lee’s character will be a jockey who is successful in Japan returning to Korea to ride where he meets and competes against – and more than likely falls in love with – a female jockey. The announcement of the movie came just days after news of jockey Park Jin Hee’s suicide in Busan and allegations of mis-treatment of jockeys by trainers. All of this was picked up on by the mainstream Korean media and as such, a great deal of attention is likely to be given to Kim’s portrayal of the role. Filming of Grand Prix, which is named after Korea’s most prestigious race, begins in April and is expected to last for approximately two months with a tentative release date of September or October. Both lead actors have reportedly been learning how to ride. For the second consecutive week, a dusty Saturday gave way to a sunny Sunday at Seoul Race Park. While the worst of the latest dust-storm to hit the peninsula came on Friday evening, there was still enough in the air yesterday to make for an unpleasant afternoon. There were no such worries today though as Seungundaeseung upset Gi Ra Seong and Taesanbukdu to claim the feature Sports Donga Cup. Punters sent Gi Ra Seong off the favourite but it was Yoo Sang Wan on six-year old Seungundaeseung who got the better of a tight finish ahead of Free Woody. Taesanbukdu was third as Gi Ra Seong wilted in the final furlong. Down at Busan, a small but very competitive field contested the main ten furlong handicap. Highly rated US bred three-year old Captain Sir led for almost the whole race only to be pipped on the line by Seonnyang Yongsa, the Australian bred gelding snatching a second victory of 2010. Meanwhile, for the fourth consecutive meeting at Busan, all horses from trainer Kim Young Kwan’s stable were scratched. It was a good day for female riders at both tracks. 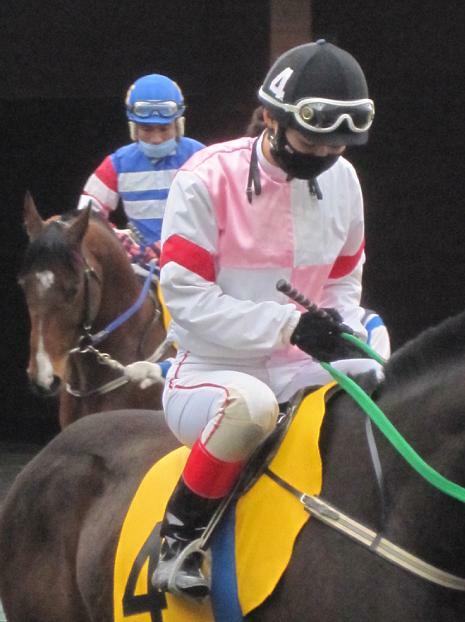 Seonnyang Yongsa was partnered by Japanese jockey Hitomi Miyashita, scoring her seventeenth winner of the year. Up at Seoul, Lee Ae Li, took race 3 on Victory Camp. For the resurgent Lee, it was a third winner from fifteen rides in March. With the Triple Crown getting underway next weekend, this week sees a low-key three days of racing on the peninsula with the best three-year olds safely in their stables and only three class 1 races; two at Busan, one at Seoul. Friday’s feature at Busan is over a mile and is an open race with Lucky Dancer, Galmaegi Kkum and old favourite Procyon involved. On Sunday at the Gyeongnam Province track, the main race sees seven go in a handicap rescheduled from two weeks ago when racing was called off following Park Jin Hee’s suicide. King Kephalos and Crafty Louis are joined by Seonnyang Yongsa and the three-year old import Captain Sir over ten furlongs. At Seoul, Sunday has the pick of the action. 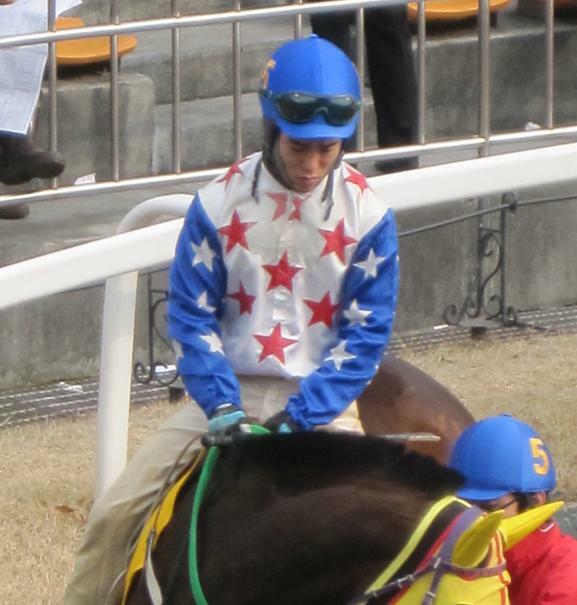 Gi Ra Seong is yet to strike this year but is in contention for the feature race along with Taesanbukdu and the now six-year old Namchonuijijon. 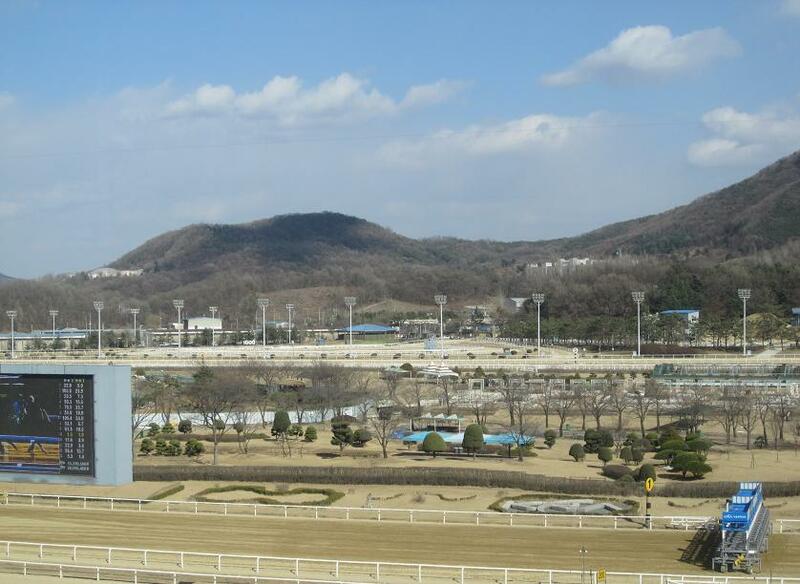 The first leg of the 2010 Korean Triple Crown is less than two weeks away and the field is taking shape for the KRA Cup Mile – “The Korean Guineas” – which will be run at Busan Race Park on Sunday April 4. Four challengers will be travelling south from Seoul in a bid to overturn the capital’s recent dismal record in the Triple Crown. Busan horses have swept all three classic races for each of the past two years. Money Car leads the Capital contingent. He’s won five of his six starts with dismissive ease and has looked equally at home going round one turn or two. How he takes to Busan’s punishingly long back straight could be key to this race. He’s joined on the trip South by Silver Mon, who’ll have some supporters due to his being grey and the Seo Soon Bae owned pair of The Almighty and Forest Wind, both lightly raced and intriguing prospects. On the home team, Cheonnyeon Daero is a prolific placer, if not winner, and has already qualified for the top tier of racing at Busan. Dangdae Bulpae, Saeroun Taeyang, Baekjeom Manjeom and Almighty Hit are not far behind. Meanwhile, Australian trainer Peter Wolsley saddles Mega Tough, who has won or placed in all his five races to date. Daewan, Udeumji and Glory Yeonggwang perhaps have less in their favour at this point. However, over the past couple of years, Korean classics have tended not to go to form. As always since the KRA Cup Mile assumed the role as the first leg of the Triple Crown, much focus will also be on who is not making the trip south from Seoul. Arguably the most exciting three-year old of the lot, Northern Ace is, like Nice Choice last year, being targeted 100% at the Korean Derby in May. This backfired on Nice Choice but with Northern Ace only just back from a long lay-off, there was never much prospect of him going to Busan. There are no fillies to follow in the hoof-steps of last year’s heroine Sangseung Ilro, who went on to win the Derby. Both Manjeomhwanhui and the unbeaten Dongbang Rose will stay in their boxes in Seoul waiting for their day to come later in the year. Whereas in the past two years, the KRA Cup Mile has been given Korean Group 3 status, this year it has been upgraded to Group 2. Smart As Me got up for an unlikely victory in a thrilling end to the Busan Ilbo Cup this afternoon. After Aju Joa had set the early pace in the seven furlong race, the stage seemed set for Useung Geotap, winner of five of her six previous races, to take the honours as she battled into the lead. But that was to reckon without some final furlong drama. Outsider Neat Play, under Lee Sung Jae, darted to the rail as Hwang Jong Woo on Smart As Me began flying down the outside. In the middle Useung Geotap and Aju Joa seemed to go backwards. Five horses hit the line within half a length of each other but it was Smart As Me who was the clear winner by a nose. Imported in 2007, Smart As Me was out for most of 2009. She returned last month with a victory and now, at age 5, is set to finally fulfil her potential. She has a record of five wins from twelve starts. 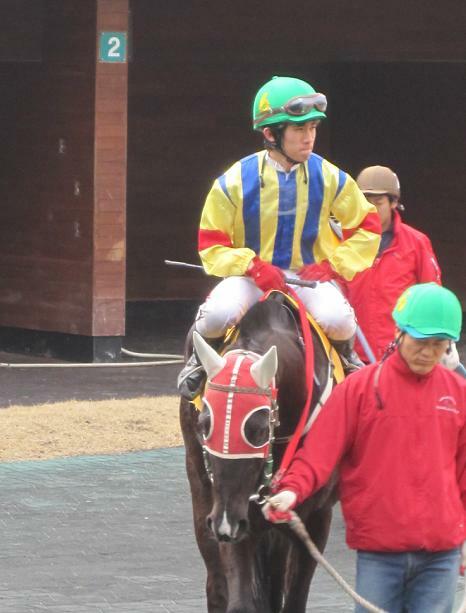 Up at Seoul, Bally Brae was expected record his second consecutive win in the feature race. With Oh Kyoung Hoan in the saddle for the first time, the popular eight-year old duly obliged leading from start to finish to win by a length from Free Hugs. In scoring his second victory of the year, Bally Brae notched his seventeenth career victory. It was a blustery day at Seoul although the wind thankfully did not bring with it the dust-storm that wreaked havoc across the track yesterday. Nevertheless, it made the long home straight very hard work for some. One of those who completely faded was Juamdaegun. The three-year old Australian import was strongly fancied to make it three wins in a row in the last. However, after leading from the gate he fell away badly in the final furlong. 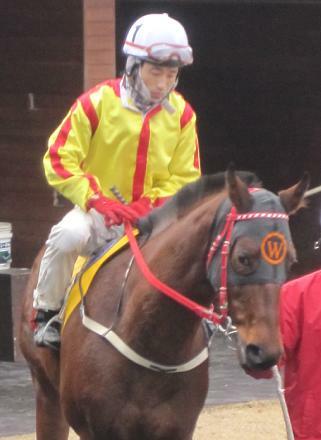 Also of mention at Seoul was a maiden victory for Murim Choegang. The four-year old had recorded five second and two third place finishes in his nine starts to date. Today, he finally went one better, cruising to victory in race six. While high winds, rain and a dust-storm combined to create a trifecta of unpleasantness at Seoul Race Park this afternoon, Khanui Jeguk kept up his 100% start to 2010 with an impressive win in the feature race. The four-year old was sent off as favourite for the ten furlong handicap and, under Ham Wan Sik, he took an early lead and always kept his rivals at arm’s length to take victory by a length and a half. Bungjeongmalli and Machine Gun filled out the placings. Underperforming in the really big races in 2009 – the Derby, Minister’s Cup and President’s Cup – Khanui Jeguk did manage to land the Ilgan Sports. Winning on his season debut last month he looked much improved from last year and today’s performance confirmed that he is likely to be involved in some of the bigger prizes later in the year. Generally the only punters who have to go outside on miserable days like today are those who have plenty of respiratory problems already. Today those gents suffered even more for their cigarettes as a dust-storm swept in from China coating both surfaces and lungs in a fine yellow film of dirt and chemicals. Just as we had finally gotten rid of the snow, the phenomenon known as “yellow-dust” was making its first appearance of the year. If it was awful in the stands, it must have been ten times worse on the track Just plain dismal weather had made it seem like night-time at lunchtime even before the dust hit. There were wins for useful looking fillies Secret Woman and Cheonun while Australian-bred three-year old Emperor Cugat looks to be getting better with every run. Today the colt saw off a class 2 field by six lengths to take his second win of 2010. Racing returns to Seoul tomorrow and at the moment the forecast is for much of the same. Yellow-dust is notoriously difficult to predict though so we may get lucky. On the track, Bally Brae is set to be the star attraction at Seoul while Sangseung Ilro, last year’s KRA Cup Mile and Derby winner is considered doubtful to start in the main event at Busan. That leaves the Busan Ilbo Cup, which pits some of the track’s up and coming imports against one another, as the big race.